Kang, S. A., Tsolmon, B., Mann, A. P., Zheng, W., Zhao, L., Zhao, Y. D., Volk, D. E., Lokesh, G. L., Morris, L., Gupta, V., Razaq, W., Rui, H., Suh, K. S., Gorenstein, D. G. and Tanaka, T. (2015). Safety evaluation of intravenously administered mono-thioated aptamer against E-selectin in mice. Toxicol Appl Pharmacol 287(1): 86-92. Kang, S. A., Hasan, N., Mann, A. P., Zheng, W., Zhao, L., Morris, L., Zhu, W., Zhao, Y. D., Suh, K. S., Dooley, W. C., Volk, D., Gorenstein, D. G., Cristofanilli, M., Rui, H. and Tanaka, T. (2015). Blocking the adhesion cascade at the premetastatic niche for prevention of breast cancer metastasis. Mol Ther 23(6): 1044-1054. Shim, H. J., Yang, H. R., Kim, H., Kang, S. A., No, K. T., Jung, Y. H. and Lee, S. T. (2014). Discovery of (E)-5-(benzylideneamino)-1H-benzo[d]imidazol-2(3H)-one derivatives as inhibitors for PTK6. Bioorg Med Chem Lett 24(19): 4659-4663. Kang, S. A. and Lee, S. T. (2013). PTK6 promotes degradation of c-Cbl through PTK6-mediated phosphorylation. Biochem Biophys Res Commun 431(4): 734-739. Kang, S. A., Cho, H. S., Yoon, J. B., Chung, I. K. and Lee, S. T. (2012). 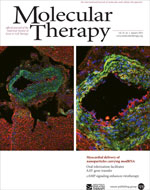 Hsp90 rescues PTK6 from proteasomal degradation in breast cancer cells. Biochem J 447(2): 313-320. Kang, S. A., Lee, E. S., Yoon, H. Y., Randazzo, P. A. and Lee, S. T. (2010). PTK6 inhibits down-regulation of EGF receptor through phosphorylation of ARAP1. J Biol Chem 285(34): 26013-26021.